Materials: White/opaque glass. 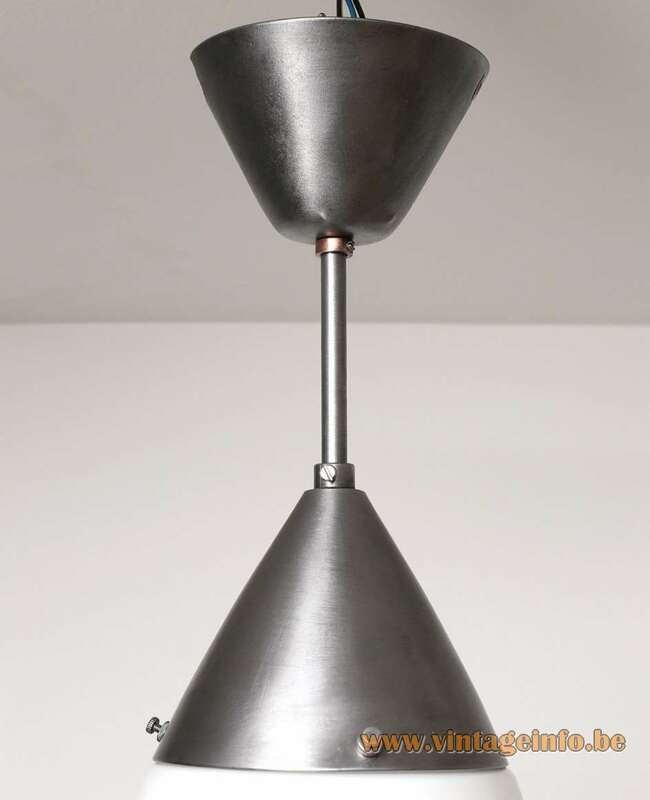 Metal (iron). Brass and metal parts, brass socket. Electricity: 1 bulb E27, 1 x 200 watt maximum, 110/220 volt. 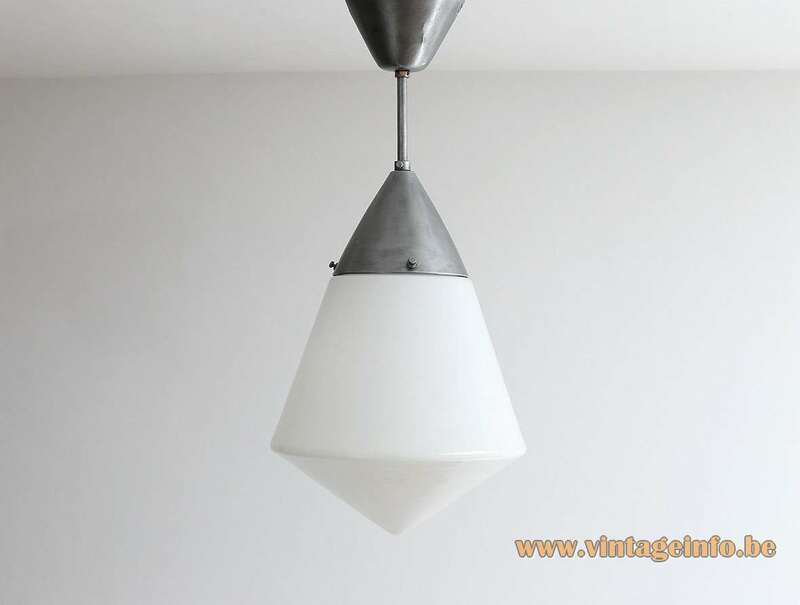 Period: 1920s, 1930s – Art Deco, Bauhaus. Designer: Peter Behrens (1868 – 1940) – attributed. Manufacturer: Siemens Schuckertwerke, Berlin, Germany. Other versions: Made with rods in different lengths. 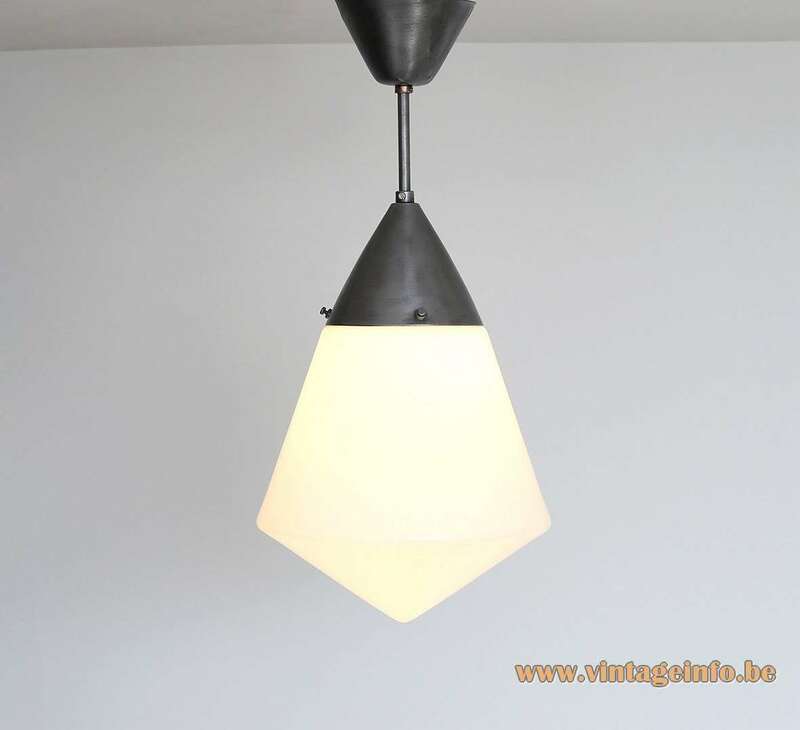 Peter Behrens designed several lamps such as this one, also for AEG. 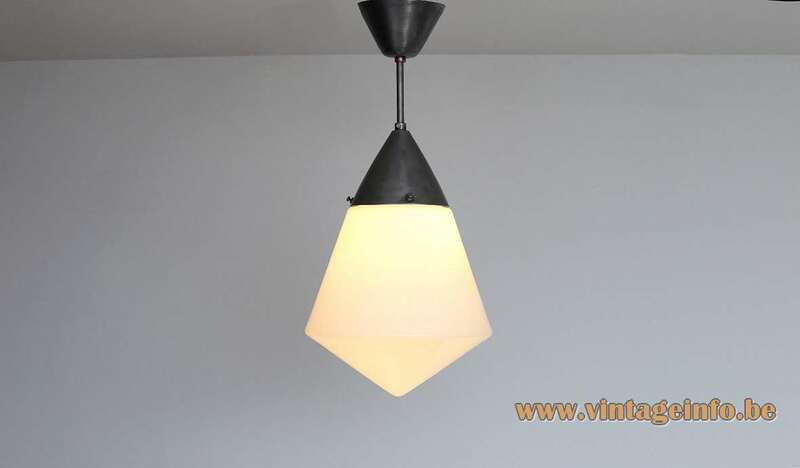 In all probability also this pendant lamp. 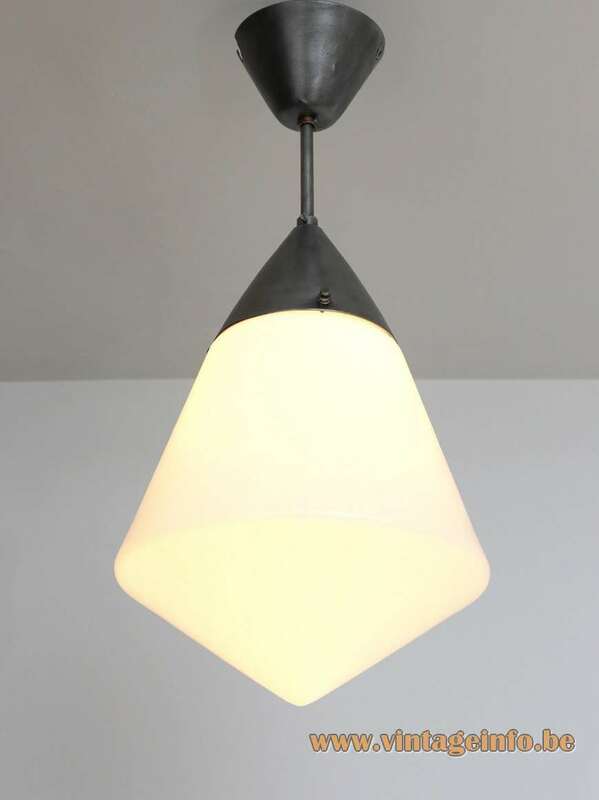 Peter Behrens was a German architect and designer born on 14 April 1968. He studied painting in Hamburg, Düsseldorf and Karlsruhe. At first, he worked as an illustrator, painter and bookbinder. He was one of the leaders of architectural reform and was a major designer of factories and office buildings. In 1907, AEG retained Behrens as artistic consultant. He designed the entire corporate identity such as the logo, product design, publicity, lighting, etc. He is considered the first industrial designer in history. Behrens was never an employee for the company, only artistic consultant. From 1907 to 1912, he had students and assistants, and among them were Le Corbusier, Walter Gropius, Jean Kramer, Adolf Meyer and Ludwig Mies van der Rohe. 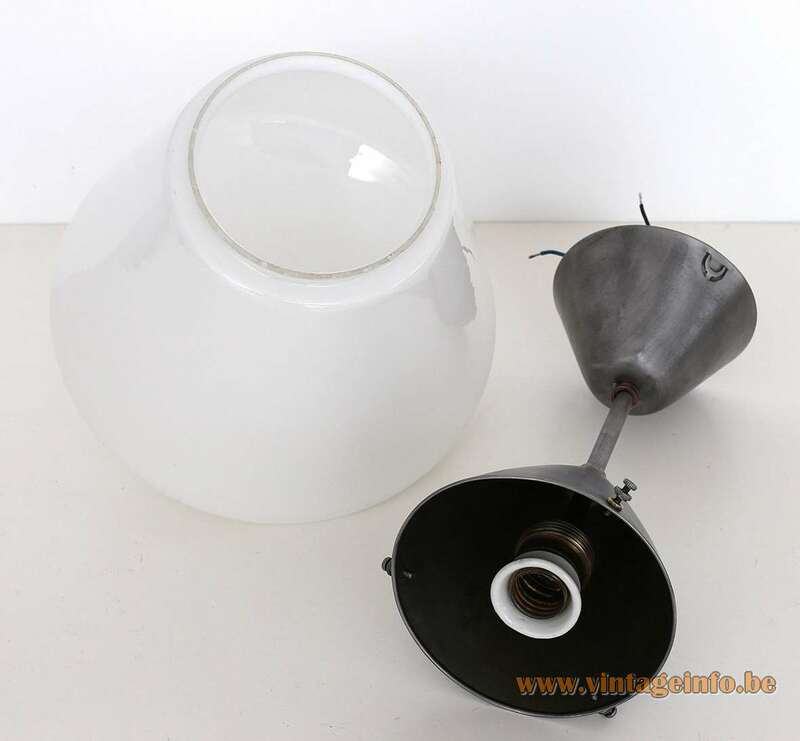 He also designed the Luzette, Neophan, and several other lamps for Siemens. Peter Behrens died in Berlin on 27 February 1940. Siemens-Schuckertwerke or Siemens-Schuckert was a German electrical engineering company headquartered in Berlin. Siemens Schuckert was founded in 1903 when Siemens & Halske bought Schuckertwerke. Siemens-Schuckert was specialized in power engineering and pneumatic instrumentation. 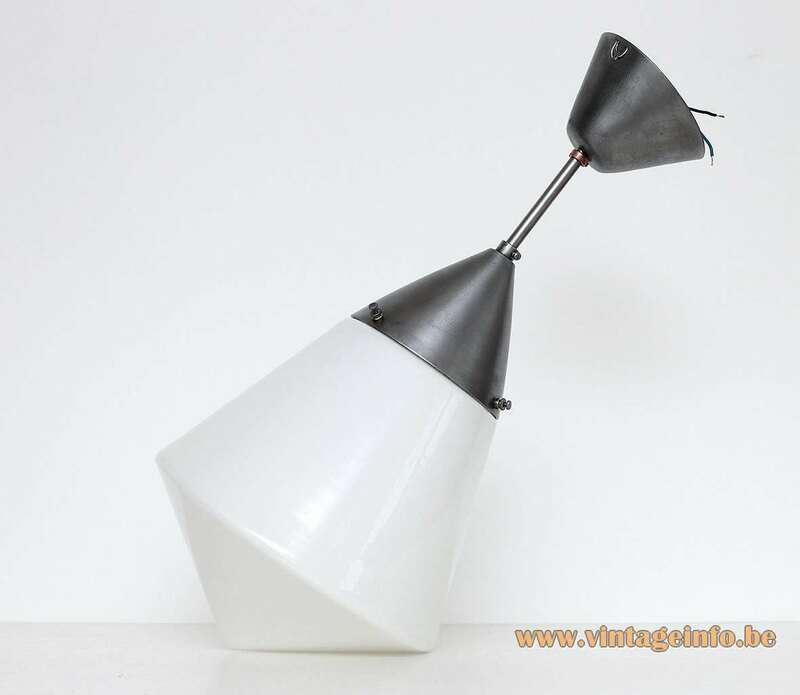 All the lamps of Siemens were also produced at the Siemens-Schuckert plant. It also had factories in Erlangen and Nuremberg. Siemens-Schuckert build a number of heavy bombers early in World War I. In 1936 the airplane part of company reorganized and became Bramo, the Brandenburgische Motorenwerke and were purchased in 1939 by BMW (Bayerische Motoren Werke) to become BMW Flugmotorenbau. The Siemens-Schuckertwerke company was incorporated into the Siemens AG in 1966. The Siemens company still exists but it does not produce lighting anymore.